Previously, I mentioned that sometimes I give Jon a break from chef duties. 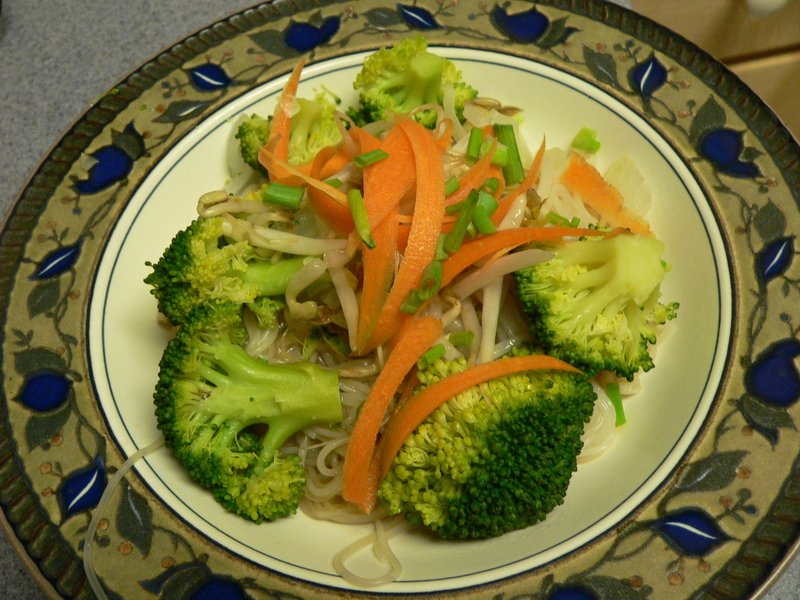 Last night was one of those times, and in true Amber fashion, I concocted an Asian inspired Noodle Bowl, using what we had available in the refrigerator. I rarely use a recipe. I’d much rather wing it, so here goes. 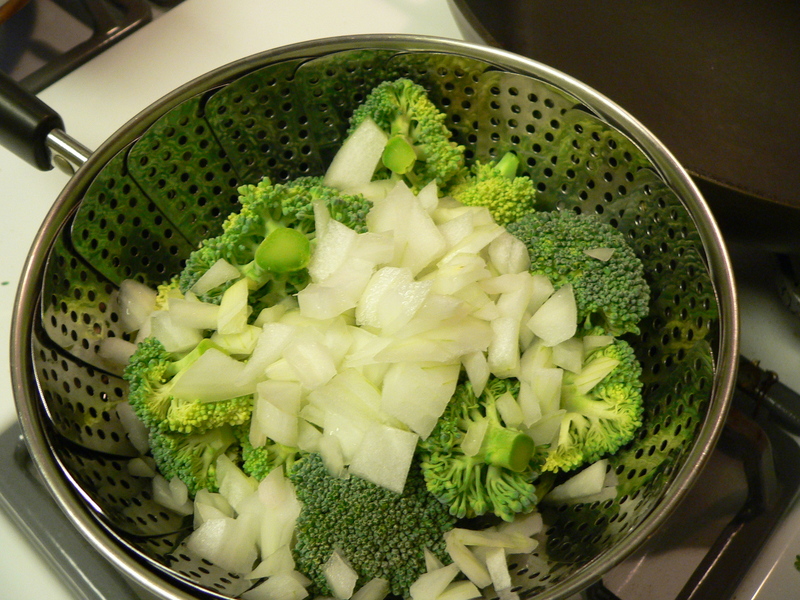 Prepare vermicelli according to package instructions and steam broccoli with chopped white onion until warm. I like them to keep a little of the crunch. 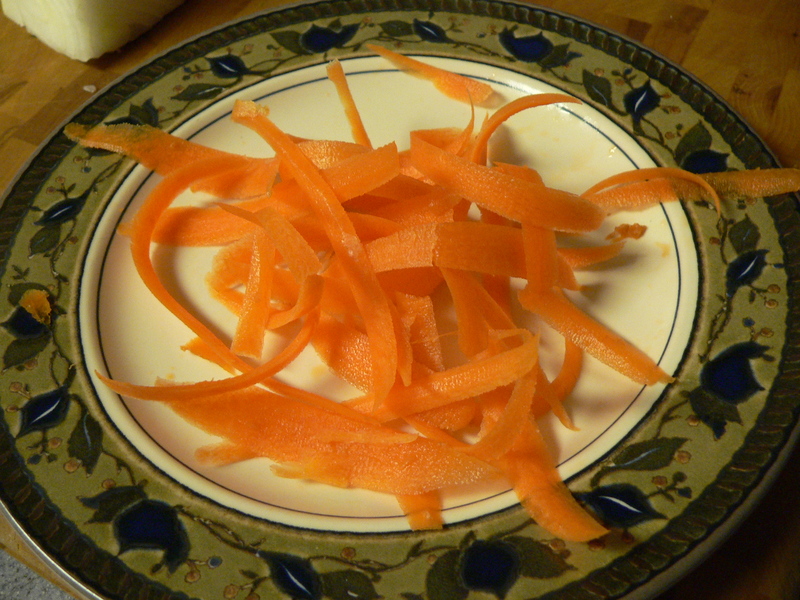 In the meantime, use a vegetable peeler and shave carrot. Chop chives. 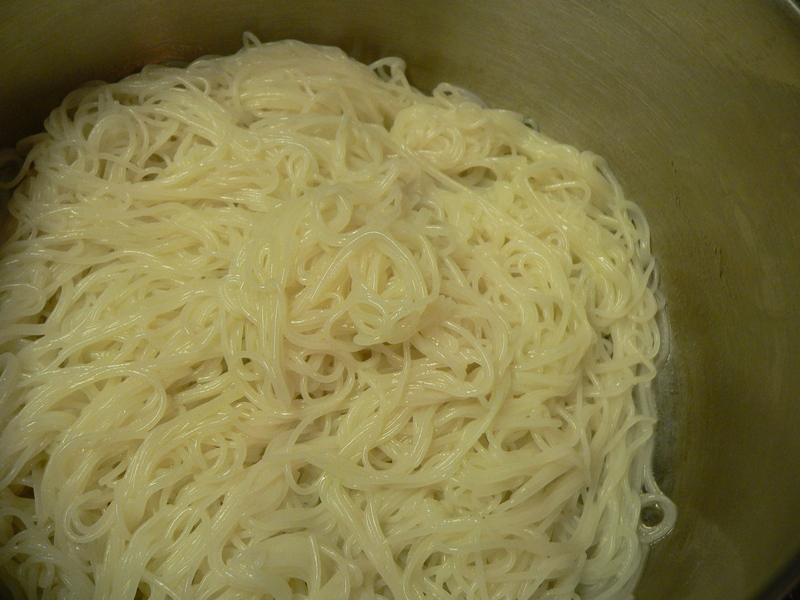 When the noodle are cooked, place in strainer and run them under cold water. Return to pot and mix in oyster sauce, fish sauce and sesame oil to taste. 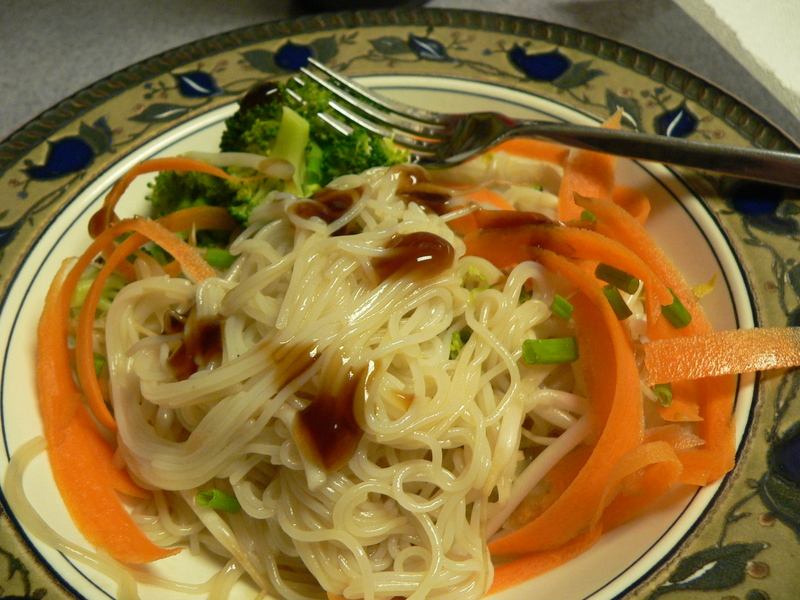 To plate the dish, add noodles, then broccoli and top with carrots, bean sprouts and chives. Sprinkle with soy sauce and oyster sauce. **I usually include cilantro, but we didn’t have any. Sad face 😦 This dish is also good with chicken, pork or tofu added.